Yoga is beautiful in its way of being all encompassing, it effects the body, the breath and the mind, and each time we practice we may notice something new that it brings. For some of us practicing yoga is a way to help sleep better, for others it provides a way to release tension in the body, and sometimes yoga is all of this and much much more! Part of yoga’s beauty is that it can be approached from many different perspectives and intentions, each of us benefiting in our own personal ways. How then can we maximize on our potential? How can we walk into a yoga class or step on to our mats and know that we will reap the full benefits of the practice. The answer of course is awareness. The physical practice of yoga can be a powerful tool for transformation, helping us to recognise where changes can be made; where unhealthy patterns, habits and beliefs can be seen and transformed. Even for the health of the body, to improve posture and alignment, to increase strength and flexibility effectively, and to explore our limits safely, awareness is necessary. Injuries and imbalances in alignment often arise in asana because of practicing without awareness. So how can we cultivate this awareness in our practice? 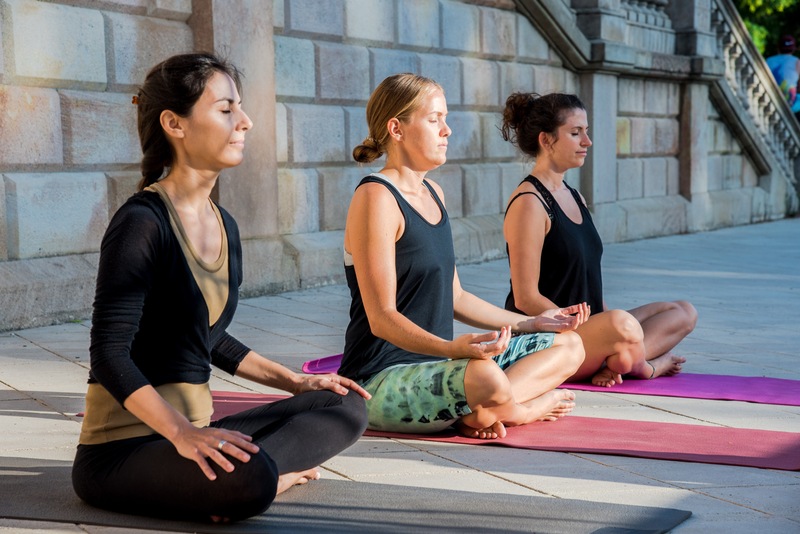 The most effective way to bring awareness into your yoga practice is through the connection of the body and the breath. Focusing the mind on the breath, and noticing how the body and breath influence each other, is a profound method for developing and maintaining awareness not only in your yoga practice but also in day to day life. For most of us, learning to breathe with an even and steady breath is one of the most difficult aspects of asana practice. The body already presents its varying challenges to us as we enter into each yoga position, generally creating some kind of restriction of the breath, making it extremely challenging to take full even breaths and even more so to focus the mind there. However we can challenge ourselves in a whole different way if we make the breath and it’s quality, the focus of the practice. Rather than using ever more complicated asanas, with a fairly simple asana practice we can cultivate great awareness. How do I make the breath the focus of my asana practice? My first advice would be to go easy on yourself, breath awareness comes by taking your time and consciously exploring the body and it’s limits. The breath is an indicator and your only job is to observe it. For example, you notice in utthita trikonasana (triangle pose) that your breathing becomes fast and shallow, instead of trying to push through this discomfort and pray that teacher will call the next position, listen to what your breath is telling you and modify your posture until you find a sense of ease and comfort in your body and breath. You can begin this breath awareness one posture at a time, building your way up to maintaining this awareness throughout the whole class, and then we eventually bring this aspect into every moment of our lives. If you find breathing a great challenge and would like to learn how to take your yoga practice one breath at a time, contact me to schedule a private class where I can give you personalised tips on breathing techniques and identify ways in which you may be restricting your natural breath.